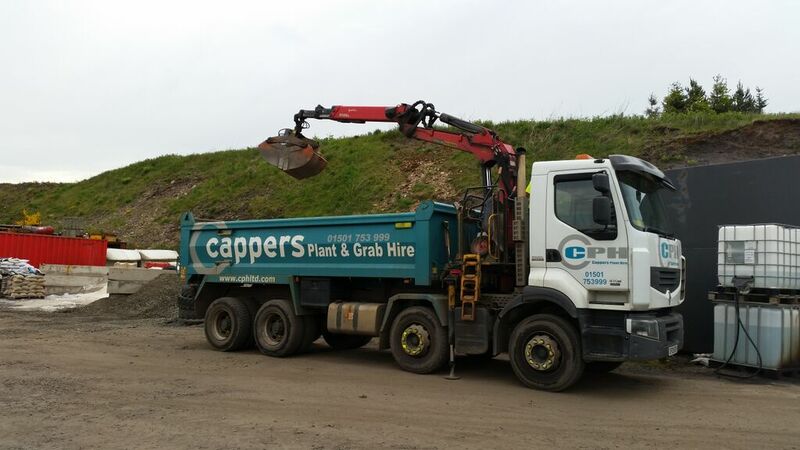 Cappers are specialists in operated grab hire in Scotland. 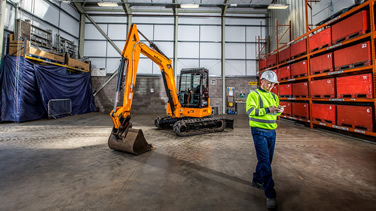 The combination of high specification equipment and some of the best operators in the business puts us at the forefront of operated Grab hire. 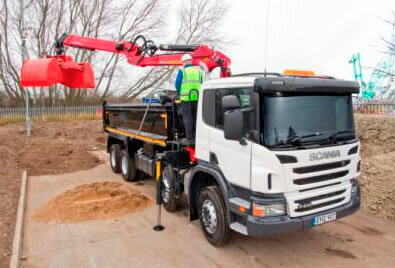 From single load uplift, aggregate delivery to long term hire speak to us now to discuss your requirements and book your hire today. Weighers (scales) to guarantee exact quantity deliveries. GPS tracking to give huge reporting capability to our customers. Vehicle and crane subject to in depth inspection on six weekly basis to ensure reliability and safety and reduce down time. PDA delivery system giving real time information to our customers. Information includes photographs, signatures, GPS coordinates of works and instant notification email on job completion. Are you still using skips for spoil? 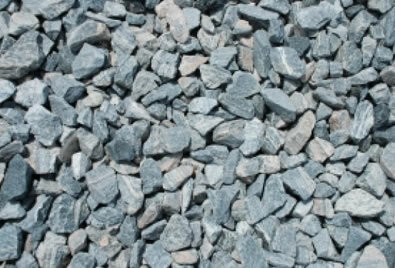 If you are currently using skips to dispose of your inert spoil material… we believe we could almost HALF your costs! Call us today to put us to the test!